These history and patriotic books are great educational resources for you and your family. Learn about former President's and the impact their administration had on our country as well as many books dedicated to the history of our Nation's Capitol. 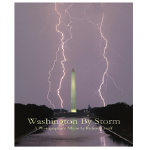 By Richard Latoff, one of the most well known photographers in the region, this 11.25" x 11.25" hardcover book of beautiful photographs captures striking new perspectives of Washington, DC. 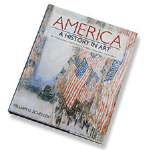 By William G. Scheller this hardcover book provides a rich history of America enhanced by hundreds of representative artworks. documented by significant paintings, sculptures, photographs, and works of architecture. 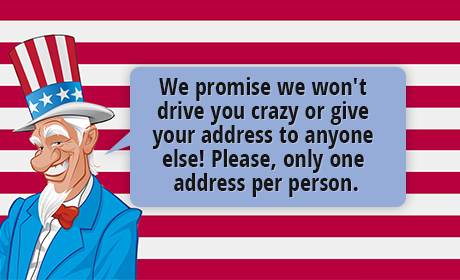 Measures approximately 12-1/2" x 10-3/4", 320 pages. 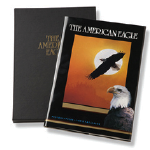 By Tom Leeson and Pat Leeson this hardcover book provides a matchless, intimate look at the eagle's life-cycle and world revealing the essence of the eagle with breathtaking color photos. Measures approximately 13-1/2" x 10", 128 pages with slipcase. "The Washington National Mall" tells the story of the America's greatest urban park for the first time. Learn the fascinating history behind the monuments and museums, from the best known to the most obscure. The Capitol, the Washington Monument, and the Lincoln and Jefferson Memorials are all here, as are long forgotten landmarks such as the Fish Commission, the Redwood Tree House and Braddock's Rock among others'. A Guidebook to Signs, Symbols, and Ceremonies at the Origin of America's Capital by James Wasserman. Lavishly illustrated and fact-filled, The Cherry Blossom Festival: Sakura Celebration is a fascinating and informative look into one of the worlds greatest festivals and makes a fine Washington DC souvenir for those who have visited these historic trees. The true story behind the most famous-and infamous-stone in the world. 2006; Hardcover; 6" x 9"; pp 400; 71 b&w photos. A nice Washington DC souvenir to remember your trip to our Nation's Capitol this high quality laminated map with detailed street and location listings for Washington DC is something you can always look back at fondly to remember your visit. Now back in print, this richly illustrated reference brings together the story of the architecture of the White House and the story of the first families and designers who shaped it. Beautifully illustrated book with 220 color photographs of this important collection of paintings, sculpture, furniture, silver, glass, and porcelain. Presenting the White House collection of paintings, sculptures, and drawings, this book provides the history of masterpieces by such noted artists as Charles Willson Peale, Albert Bierstadt, and Winslow Homer. This book contains the story of one of the most famous and historic gardens in America. From Martha Washington to Laura Welch Bush, this book features biographies and portraits of the women who have fulfilled the role of White House hostess during the administration of each president. A look at General Washington's military career from his exploits as a young officer through his performance as the Revolutionary War commander in chief. This book is an informative and entertaining biography of America's first First Lady, Martha Washington; with bibliographical references and index. 12 biographical profiles of African-American Former Members of Congress. The subjects were chosen in 1995 by polling a distinguished advisory board of scholars and current and former Members of Congress. Written by educator Shirley Washington, Ph.D., with a foreword by the Honorable Margaret Chase Smith. Includes photographs published for the first time.